Just act | Just Act is a theatre-based catalyst for healing, change and activism to build a just world. This workshop is now closed. Please email us at info@justact.org receive information on our next dates. 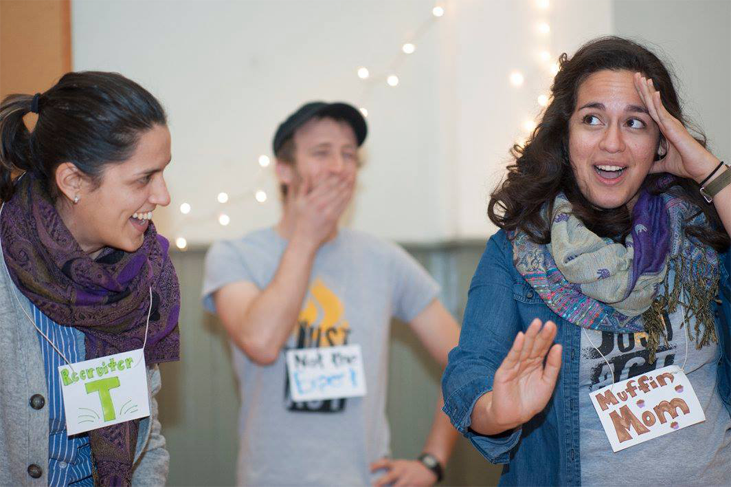 Just Act is a theatre-based catalyst for healing, change and activism to build a just world. community engagement, communication, reflection and repair. Collaborate across sectors with individuals, community groups, organizations and schools on building the capacity of under-recognized individuals and communities who are systematically discriminated against and those in solidarity with them. new insights about seemingly intractable dilemmas into positive solutions for social justice. JUST ACT IS REMAPPING THEATRE AS AN ACTIVE PARTICIPANT IN THE BROADER PROCESS OF CIVIC DIALOGUE, SOCIAL ACTION AND COMMUNITY ENGAGEMENT. We customize programming to serve our partners and local issues, creating safe spaces for individuals and communities who are systematically discriminated against, and those in solidarity with them, to think critically about inequality and injustice, then create and practice new ways for making personal and collective change. through creative methods for dialogue, expression & planning,offering a space to flex the muscles of our imagination and curiosity to re-see conflict as places of possibility. We collectively make the invisible visible in order to critically reflect upon it; transforming new knowledge and insights about seemingly intractable challenges into real solutions for change. Just Act's Forum Theatre Training is geared towards individuals seeking facilitation skills and training in Forum Theatre & core Theatre of The Oppressed techniques to improve their ability to effectively engage justice, equity, diversity & inclusion issues, and using interactive theatre as a tool for social change, interpersonal and community repair, from activist and organizers to educators, social workers and facilitators of all kinds. 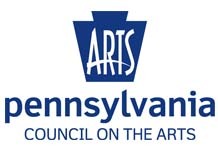 Just Act is a non-profit hybrid of artistic & community engagement committed to social justice. 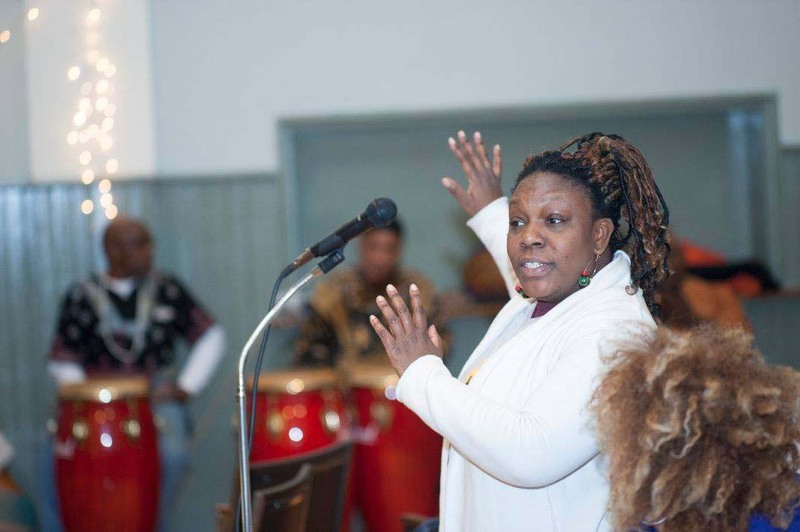 Our mission as a theatre-based catalyst for healing, change & activism is dedicated to utilizing Theatre of the Oppressed to activate meaningful dialogue, critical reflection & action planning around complex, divisive civic & social issues. Working at the intersection of theatre, social justice, anti-oppression training & engagement, we are remapping theatre as an active participant in the process of civic dialogue & social action. 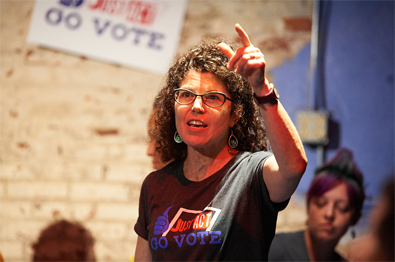 A non-partisan voter education campaign using interactive Forum Theatre to raise awareness about why many people don’t vote, educate how choosing not to vote impacts residents’ daily lives, strengthen individual and collective capacity to engage in conflict with people who don’t share your perspective on voting, and create new strategies for real dialogue around making change." Voting is an urgent civic and personal issue. Choosing to vote or not vote is more than just a personal preference. For residents who aren’t deeply involved in community activism, how our local government functions and why voting matters are abstract, complex concepts. Knowledge from high school civics classes, if one even had them, are but a vague notion from the past. The result is that the impact of not voting and the decimation of citizen power doesn’t consciously register in our minds. Traditional ‘get out the vote’ campaigns are all about facts, figures and reaching as many people as possible through door knocking, flyering (real and virtual), and phone/text banking. Such approaches do little to amplify residents’ own experiences with how the government—local or national—is impacting their lives, nor does it grow their awareness of how our democratic government is supposed to encourage a robust social infrastructure rooted in citizen power. 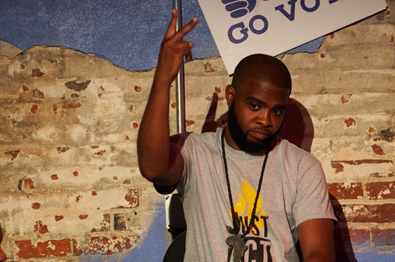 “Just Act, Go Vote” will be a second iteration of “Just Act, Go Vote” Forum Theatre-based community engagement and education program that Just Act created in the fall of 2018 to grow voter awareness amongst young people. “Just Act, Go Vote” will be designed to demystify how local city government works, and to educate how choosing not to vote impacts residents’ daily lives and what matters most to them. 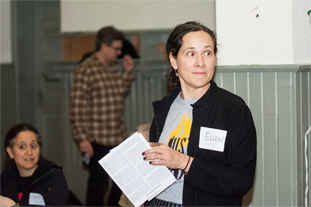 The goal of the project is to raise awareness and make visible the invisible functioning of City Council, grow the number of people who feel compelled to vote because they now understand their relationship to voting, and encourage people to stay engaged and make their voices heard by learning how to advocate for community needs. While voting/candidate information might be shared with residents, the data and analysis around voting is not effective in propelling people to the polls. “Just Act, Go Vote 2.0” will help close the knowledge gap between what happens in our neighborhood and City Council. In doing so, we can draw attention to the role that residents can play in shaping local government, and inspire action on the critical issue of voting. People need to know how Council, Mayoral, Judge and City Commissioner decisions affect their lives, how funds are distributed and the role of their Council representatives from the allocation of those funds, to developing legislation and what it takes to get passed. 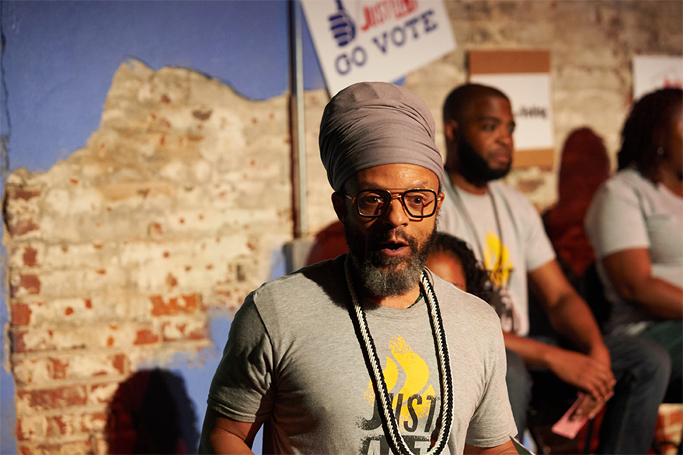 “Just Act, Go Vote 2.0” is rooted in community empowerment and creating space for people to understand where we each are located within the system of power. By increasing understanding of how our local city government systems work, particularly City Council, thus increasing comprehension of our municipality, we can increase citizen participation in voting and inspire collective demand for racial, economic, and political equity. 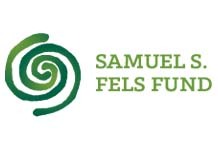 This Forum Theatre program will offer a novel and creative way to tell a story about future impacts of not voting, and makes it relevant and compelling in the present moment. 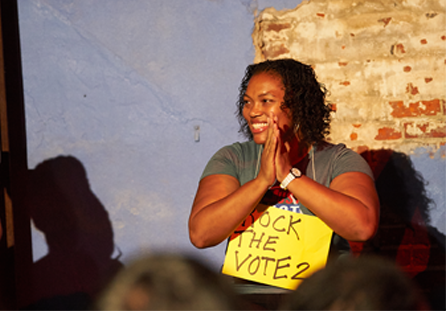 Extensive series of community gatherings that use the combined power of Forum Theatre and participatory action-planning, will bring the generalized concepts of local government to the intimate scale of everyday residents, offering them an opportunity to pause, learn, and collectively understand their citizen power and the importance of voting. Forum Theatre is a structured interactive theatrical improvisation based directly on a group’s own stories of conflict. 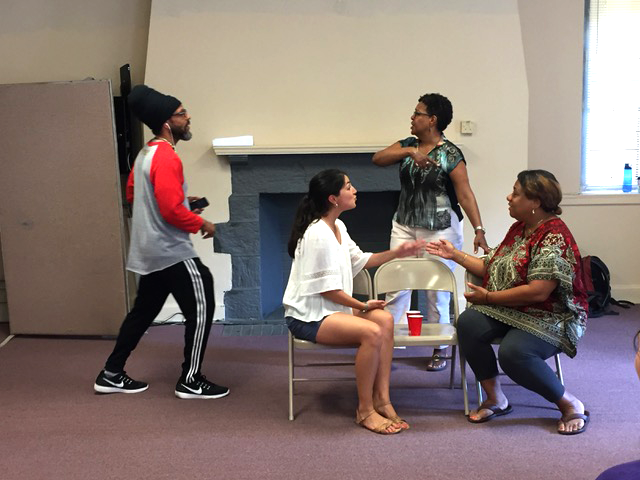 Audience members are called “Spect-Actors” and are given the responsibility of acting on injustices that they see in the characters’ relationships. To do so, they are invited to jump into the improvisation, and try out different strategies to productively tackle the conflicts in play. Forum Theatre enables participants to theatrically reflect on their social position and debate concrete actions that each person can take outside of the performance itself when they find themselves in similar conflicts.. In doing so, the Forum offers a rehearsal for reality, renewing and deepening our capacity to stand up more effectively for justice on personal and inter-group levels. 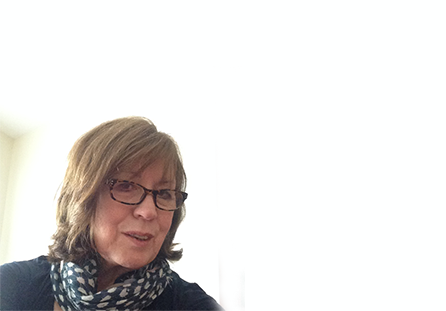 Through storytelling, movement and theatre improvisations, participants will identify and interrogate the scripts that crop up and prevent us from authentic interaction and create barriers to personal and community healing. Come experiment and courageously visualize the world you want by practicing making changes to daily interactions and growing more healthy responses to conflict. 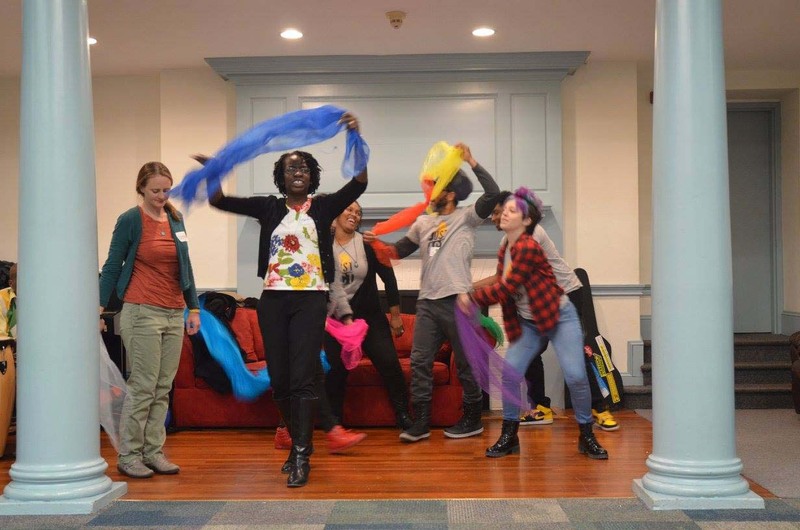 Collectively and individually–joyfully, humbly facing fears that have resulted from systematic oppression–we will identify and rehearse practical solutions for transforming our realities for more equitable relationships and community interaction. This dynamic, interactive workshop will serve as a catalyst for personal transformation and healing while providing creative tools to use in your life and change work.Flip the Script will offer a refuel zone to creatively pause and attend to the scripts in our heads that cause internal and external tension that impact our personal and collective health, particularly around race, gender, culture, socio-economic and other social identity disparities. 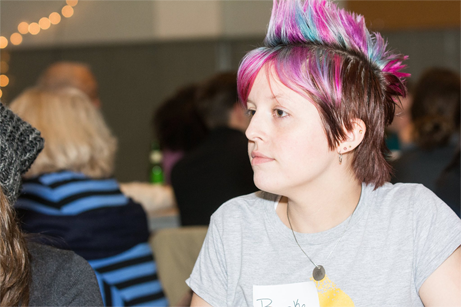 Participants will creatively recharge, while exploring barriers to health and well-being. As members practice transforming conflict and negative challenges from into moments of possibility, our session will provide an entry point for sharing and interrogating experiences to guide directions for change., Come re-awaken capacities that have been wounded and practice new strategies for flipping the script from fear to courage. 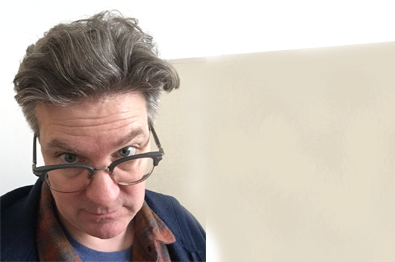 The theatre techniques are specifically designed for non-actors, no theatre experience necessary. As a multi-dimensional resource across sectors, Just Act is a distinctive, innovative hybrid of artistic and community engagement, committed to growing the “power of we”. Theatre of the Oppressed is our starting point for working at the intersection of theatre, social justice, anti-oppression facilitation and civic engagement to create community-driven work strengthening individual and collective power, and transforming divisive social, systemic and personal challenges into equitable solutions. It is with gratitude that Just Act carries on the legacy of Augusto Boal. We graciously tip our hats to Boal for lighting the way to understand that theatre happens everywhere, with anyone willing to witness the magic within everyone.